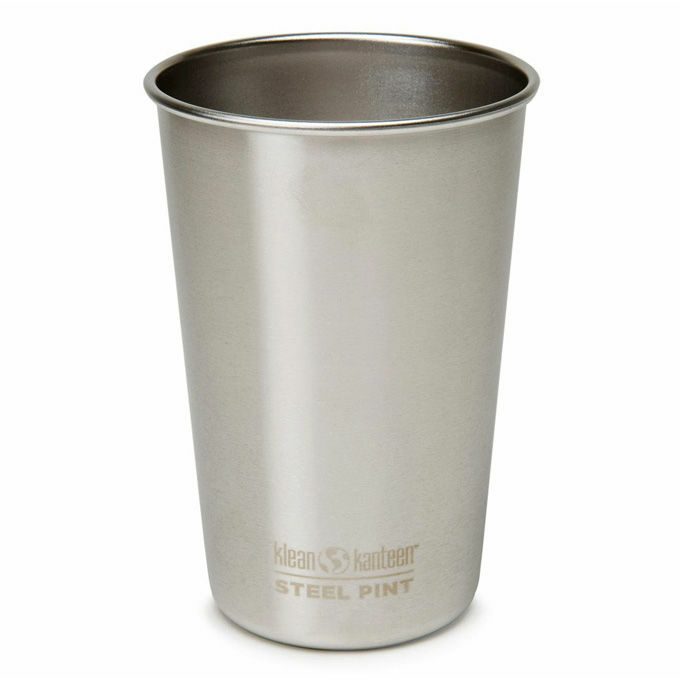 The Klean Kanteen Steel Pint Cup is a tough, well-designed and reusable camping cup made from food-grade stainless steel. 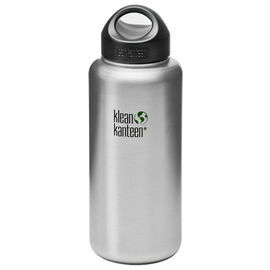 It makes a healthy and environmentally-friendly alternative to disposable plastic cups, and is capable of holding 473 ml of liquid. Each pack contains four cups. 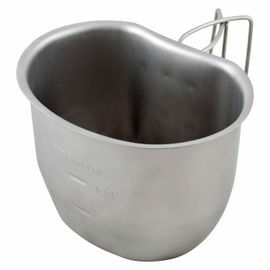 Made from high quality 18/8 stainless steel, these cups are great when camping with kids as they won't break like glass. They nest together, making them easy to pack and transport, while their rounded corners make them easy to clean. They are also dishwasher safe. 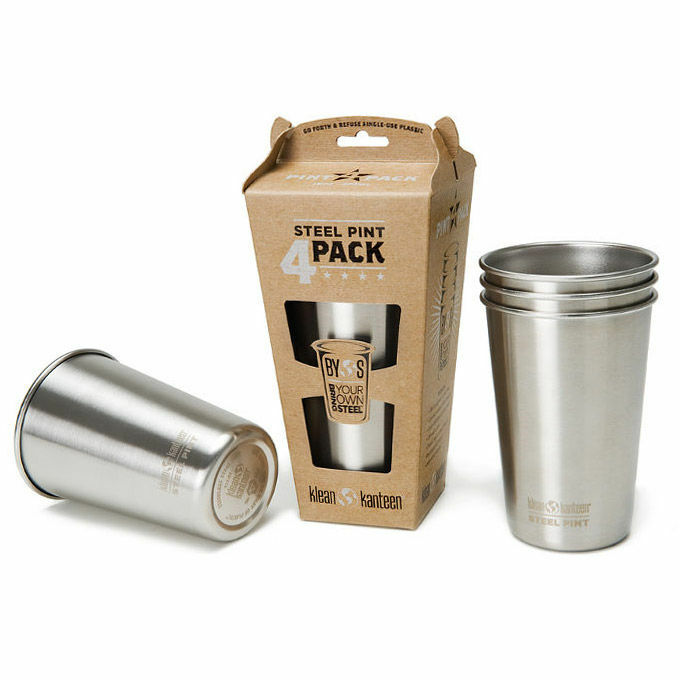 The Steel Pint Cup is completely toxin-free and doesn't retain or impart flavours, meaning that it can be used for water, wine, beer, tea, coffee, juice, milk and other beverages; no matter how many times they are used, these cups keep drinks clean-tasting. 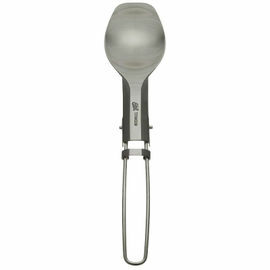 Great for camping, boating, barbecues, festivals etc. 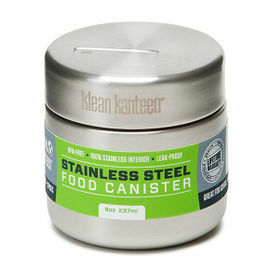 Klean Kanteen Steel Pint Cup - 4 Pack is rated 5/5 based on 3 customer reviews. Nice, indestructable cup. The steel doesn't affect taste, for me anyway. You will need gloves when serving hot drinks though. I didn't fancy the available silicone ring accessory, so I am going to make my own in leather instead.